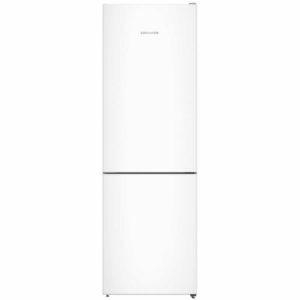 This superb freestanding fridge freezer is 55cm wide and 124cm tall and offers plenty of storage for a smaller household with a 196 litre capacity. It has an excellent A++ energy efficiency rating which is sure to keep your energy bills low and with its crisp white exterior it is sure to look great in any kitchen. If the door isn’t on your preferred side of the appliance, the handy reversible door hinges allow you to change which side the door opens with minimal fuss. SmartFrost saves you defrosting the freezer so often as it reduces ice build ups as well as freezes food much quicker than a generic appliance. There's an impressive 340 litres of space in the CN3915 from Liebherr, and with adjustable shelving you will be able to fit in some of the bulkiest items! Kept cool using Liebherr's PowerCool system, which evenly distributes cold air, each compartment is separately controlled so there's no transfer of air or heat. As this model is frost free, you will save time manually defrosting and with the A++ energy rating you will save money on the running costs as well! 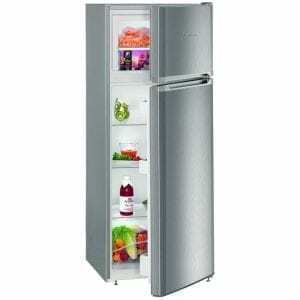 This superb freestanding fridge freezer is 55cm wide and 140cm tall and offers plenty of storage for a smaller household. Open up the doors to 233 litres of superior Liebherr quality. 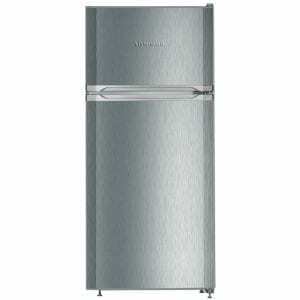 This fridge freezer has an excellent A++ energy efficiency rating which is sure to keep your energy bills low. With its stainless steel effect silver exterior it would be a great addition to any kitchen. Smartfrost technology freezes food faster and also makes defrosting easier and quicker due to less ice build up. Keep your salad cool and fresher for longer in the salad crisper drawer. Liebherr offer superb quality when it comes to refrigeration. 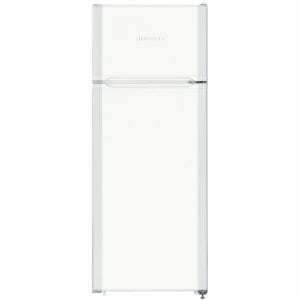 This timeless freestanding fridge freezer is 55cm wide and 124cm tall and offers plenty of storage for a smaller household with a capacity of 196 litres. It has an excellent A++ energy efficiency rating which ensures your bills stay nice and low and with its crisp stainless steel effect silver exterior it'll look great in any kitchen. SmartFrost technology freezes food much faster than the typical appliance and also keeps icy build ups to a minimum. VarioSpace is another useful feature which Liebherr created to ensure maximum flexibility within the freezer section. You can easily remove or adjust the transparent shelves in order to store larger items. You will be able to fit in plenty of food in this fantastic fridge freezer from Liebherr, thanks to its 294 litre capacity - there's even a handy bottle rack! Offering 4 star freezing, you can be sure of your frozen food being kept in great condition, with no over freezing or defrosting. With a frost free interior and A++ energy rating, it is easy to maintain and cheap to run as well, perfect for a busy kitchen! 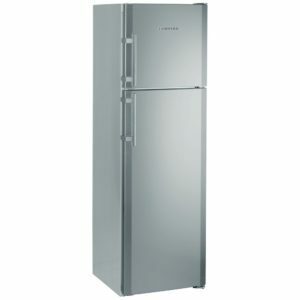 This superb freestanding fridge freezer is 55cm wide and 140cm tall. Offering plenty of storage for a smaller household, there is a total capacity of 233 litres. Liebherr's Smartfrost technology means food freezes quicker and makes defrosting a breeze due to less of an ice build up. It has an excellent A++ energy efficiency rating which is sure to keep your energy bills low. 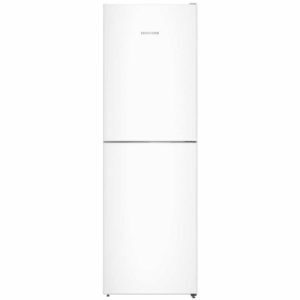 With its white exterior this Liebherr fridge freezer will look great in any kitchen. 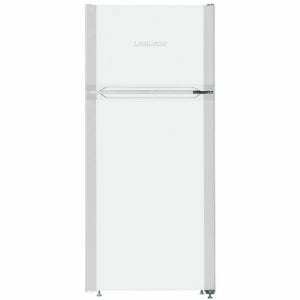 This superb freestanding frost free fridge freezer from Liebherr is 60cm wide and 186cm tall. It has an A++ energy efficiency rating and boasts an impressive total capacity of 304 litres. Finished in white it will complement any kitchen. 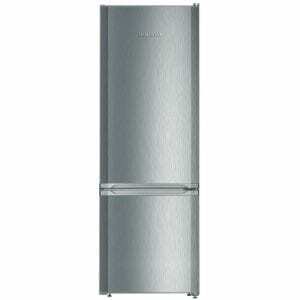 A sleek stainless steel effect fridge freezer with the excellent quality you would expect from a Liebherr appliance. 55cm wide and 161cm tall, there is plenty of storage space for a smaller home; 265 litres of storage lie inside. An A++ energy efficient rating means your appliance with have low running and energy costs. You can expect top added features including; a bottle rack, reversible door hinges and transparent drawers for maximum storage and organisation options. If it’s freezer space you require, VarioSpace will be a very useful feature as you can adjust the shelves quickly and conveniently for storing larger items. SmartFrost technology freezes food quickly and reduces ice build ups. 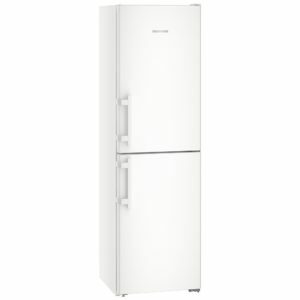 There's room for plenty of food inside this brilliant fridge freezer from Liebherr, with 306 litres of space! Adjustable shelving help make the interior flexible so you can fit in even the bulkiest of items and 4 star freezing keeps your frozen food perfectly stored. There's no need to spend time defrosting the inside, thanks the frost free interior and with an A++ energy rating you save time and money! We love the vibrant finish of this fridge freezer from Liebherr, standing out in green. It is incredibly practical as well, as Liebherr use all of their expertise to create a roomy and efficient appliance. There's a generous 304 litres of space, plenty of shelving and even a bottle shelf. As it is frost free you don't have to worry about defrosting the interior, while the A++ energy rating keeps running costs nice and low. 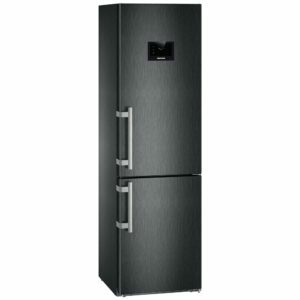 Finished in black steel, this superb fridge freezer from Liebherr will make a stunning feature in your kitchen. It offers excellent cooling and flexible storage, with 344 litres of space and Liebherr's amazing PowerCool system, and thanks to the Fresh Air filter, odours will be eliminated. The BioFresh compartments are perfect for keeping your fruit and vegetables stored in top condition. It's perfect climate helps the food keep its vitamins, flavours and appearance for up to three times longer than in a conventional refrigerator. There's no need to spend time manually defrosting the interior either, as this model is frost free for ease of use and to help maintain the condition of your food. All of this and an A+++ energy rating to help you keep running costs low! 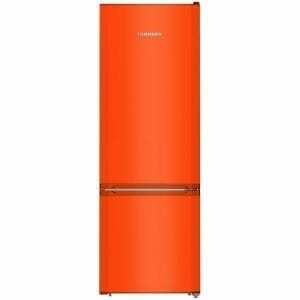 Liebherr focus on high quality refrigeration and this Neon Orange model is certainly no exception. 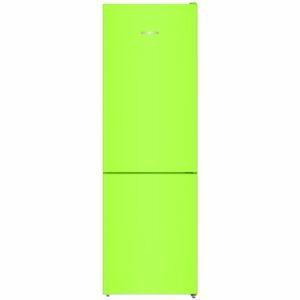 Available in a variety of eye catching colours, this fridge freezer is 55cm wide and 161cm tall, offering plenty of storage for a smaller home the capacity is 265 litres. An A++ rating on energy efficiency means you can rest assured your energy bills will be significantly lower than a lesser efficiency rated appliance. SmartFrost is Liebherr technology that freezes food quicker than a standard freezer. It also reduces icy build up which is ideal for those of us who don’t want to defrost our freezers so regularly!